Park-like setting, park-like landscaping, park-like backyard — we have all read these common phrases in real estate advertisements and have seen them listed among properties’ most enticing features on real estate websites. Of course, it is not just those currently looking for a new home who prefer yards reminiscent of parks; most of us find this type of setting an appealing feature. 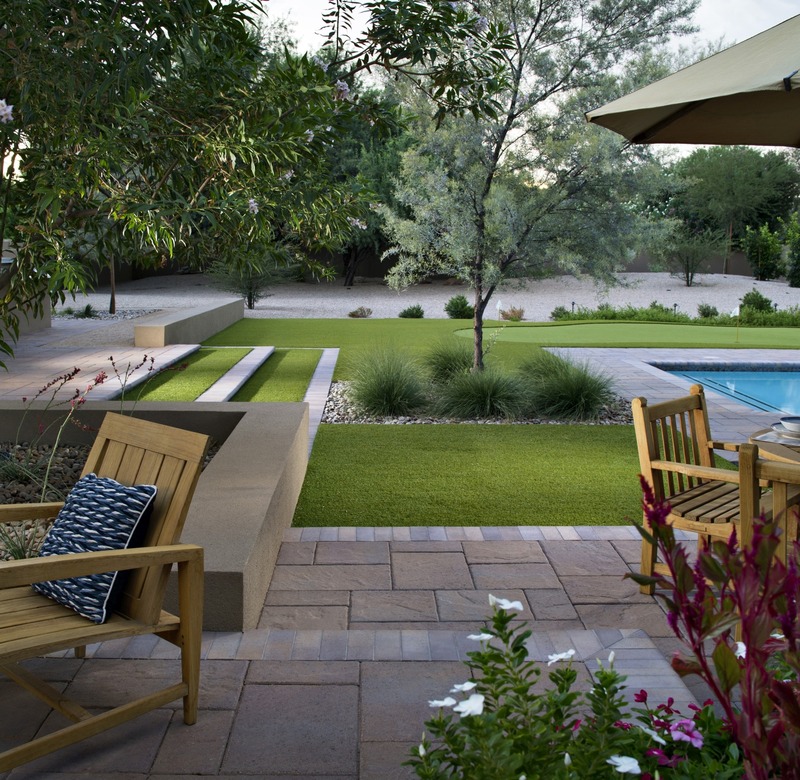 Whether you just purchased your home and are planning a landscaping redesign or have owned your home for years and are ready to create the yard of your dreams, use the tips and ideas below to assist and inspire you. What is a Park-Like Setting? When realtors refer to a park-like landscape, they generally are indicating that the property offers a serene setting with well-manicured lawns, open spaces for recreation, walkways, inviting seating areas and shade trees. This is, of course, just a general description and landscapes can vary greatly, but the most important and telling features that make a yard park like are that it is very well manicured, welcoming and beautiful. One of the most appealing features of community spaces are the well-maintained walking paths that lead to amenities and meander through the park. 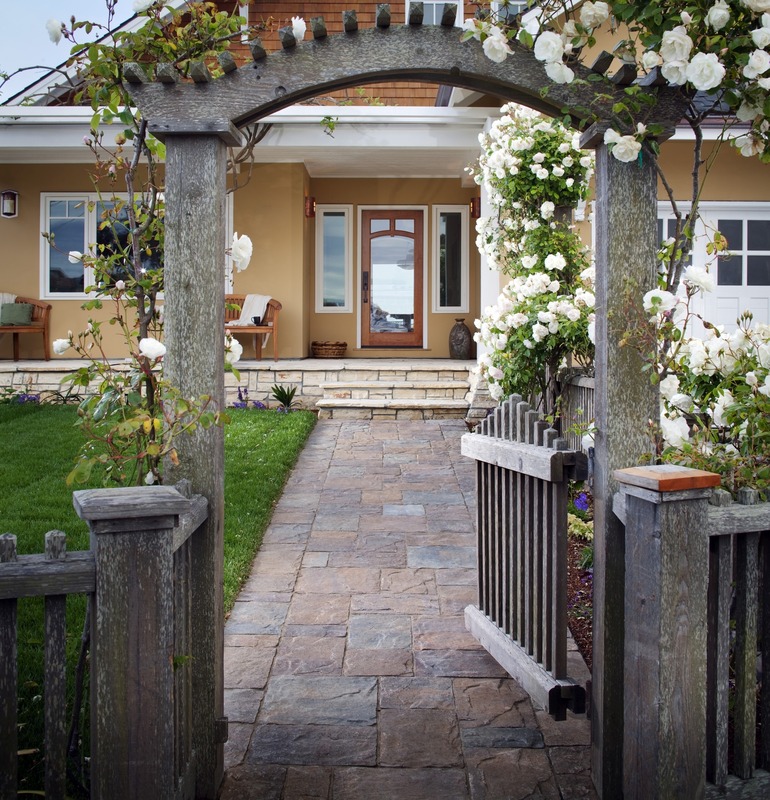 You can replicate these welcoming walkways by adding paving stone paths that lead to outdoor living areas or meander through your garden. 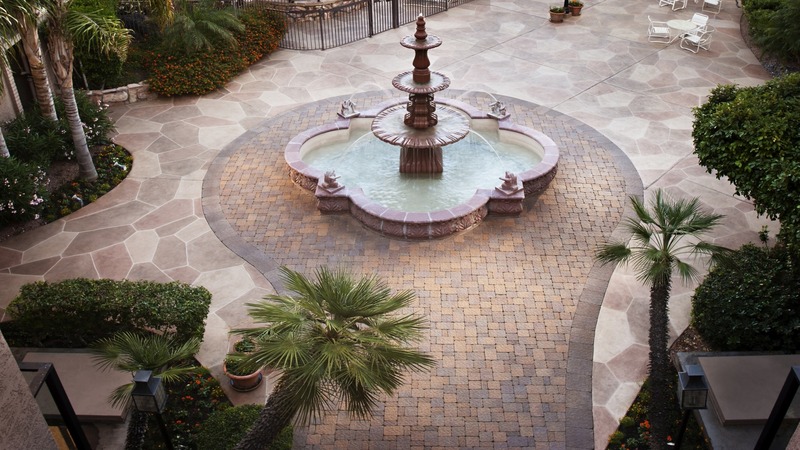 Durable, attractive paving stones come in a variety of shapes, colors and sizes, which allows you to create pathways that complement your overall landscape design or the architecture of your home. Trees enhance any natural setting and provide shady areas to relax. This is particularly important in hot, sunny areas like Southern California, so you should definitely consider them for your backyard landscaping. Choose evergreens if you hate to rake up leaves in the fall or plant fruit trees that can provide both shade and produce for your family to enjoy. Community parks offer practical seating options, such as benches and picnic tables, that can withstand years of heavy use and being out in the weather. For your backyard living areas, you can choose more comfortable options, such as lounge chairs with cushions, patio sofas or outdoor daybeds. Having inviting seating areas is an essential part of creating a park-like setting that is welcoming to guests and encourages relaxation. So keep this in mind when you are planning your backyard park. If you have enough space, you may want to consider creating multiple seating areas to offer a variety of options, including more intimate settings where smaller groups can congregate for conversations during social gatherings. While you will not find many community parks with fire pits or outdoor fireplaces, most of them do have barbecue grills for visitors to use. If you have fond memories of grilling in the park with your family on the weekend as child, you will probably want to pass that tradition down to your own children. If you install a built-in barbecue grill or place a portable grill on your patio, you can continue that weekend grilling tradition with the added comfort and convenience of being in your backyard. 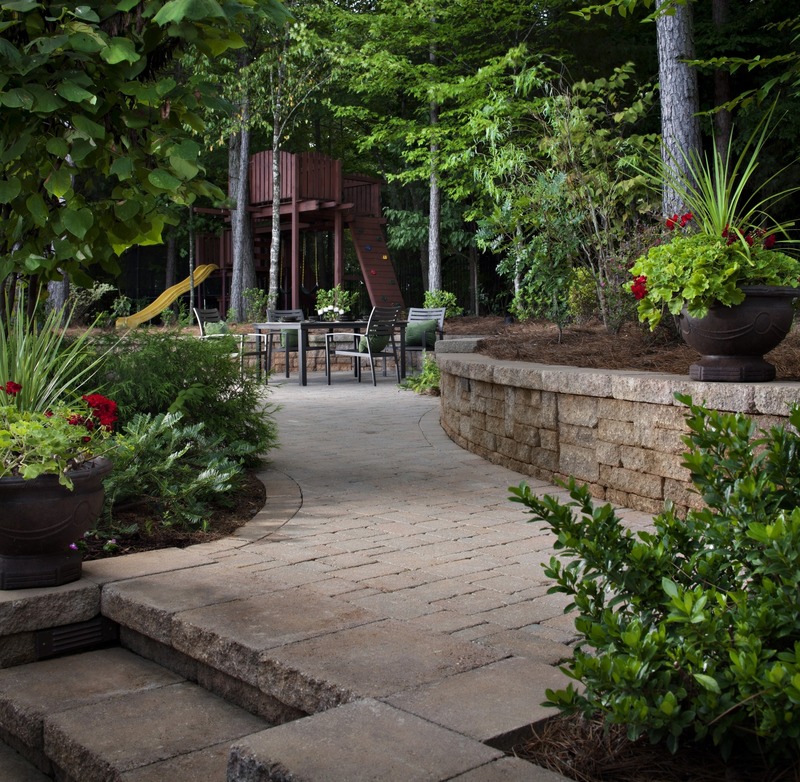 Since your personal park can have features that may not fit as well in a public space, you can also include a fire pit or patio fireplace in your design. Large, open, grassy areas are a quintessential part of parks and are among the top features that visitors look for and enjoy. These expansive, green spaces add visual appeal and make parks more inviting and, when well maintained, this important feature is definitely one of the most popular. This is where adults relax, children play and dogs explore. It is a place to read, sunbathe, chat with friends, play board games or do homework in the fresh air. At night, visitors gather on the grass to stargaze or watch movies in the park. On weekends, parks with grass areas are filled with soccer games and birthday parties. Choosing synthetic turf allows you to achieve that well-manicured, park-like look without all of the extra effort it takes to regularly mow, weed and edge a natural grass lawn. Artificial grass provides a level surface with fewer tripping hazards for recreation areas and playgrounds and, unlike the conventional grass found in many community parks, it is easy to clean if your pets use it for their restroom activities. Another important part of making your yard look like a park and function well for your family is to ensure that there is little or no bare earth. This adds to the overall visual appeal, reduces the chance of kids and pets tracking mud into your home and inhibits weed growth. One easy and inexpensive way to cover the bare earth in your yard is to spread wood chips, mulch or bark as a finishing touch. Community parks are usually not designed with privacy in mind. Having too many hiding spots or areas with low visibility can attract unwanted activities that could make the park lose its appeal to the general public or even make it a dangerous place. But your backyard is your personal park, and you do not have to worry about nefarious activities taking place. For your personal park, privacy is key, particularly because creating a tranquil space with nearby neighbors may require blocking lines of sight, making it more difficult for others to hear your private conversations or blocking noise from a busy street. Natural privacy screens, such as a trellis with vines or flowering shrubs, are perfect choices if your goal is to keep your yard looking as natural as possible. A gazebo is another addition to consider that is often found in parks and can add privacy, protection from the elements and a beautiful focal point. The sound of water flowing from a fountain or other water feature is a relaxing, welcoming sound that brings tranquility to your yard. This ambient noise can also muffle conversations enjoyed nearby and can provide a buffer between your outdoor entertaining areas and a noisy street or loud neighbors. Think about the last time you were in a park with a fountain. If you are like most people, you were probably drawn towards it and may have even taken a picture of it. If it was a large fountain with seating around it, it probably had as many as or more of the park’s visitors gathered around it than under the trees or even at the playground. Water features are incredibly popular in community parks and are something you should consider for your private park as well. Community parks often have basketball courts, tennis courts or volleyball courts. Some even have horseshoe pits or bocce greens. You may not have room for all of these in your backyard, but you may be able to fit a half court for basketball or a smaller area with a basketball hoop. Regulation horseshoe pits are fairly large, but a backyard horseshoe pit can be designed to fit an available spot in your yard, such as along a fence or in an unused side yard. A synthetic turf lawn can double as a soccer field or volleyball court with the addition of portable goals or a net, and fake grass provides a smooth, level surface for a putting green, bocce ball, croquet or other leisurely pursuits. When creating your backyard oasis, do not forget about your four-legged friends. You can include them in the park-like fun by creating a play area designed with them in mind. A paving stone patio and artificial grass will keep it visually appealing and low maintenance, while a shade structure and comfy beds allows your backyard dog park to double as a dog run when you leave for work of entertain guests. 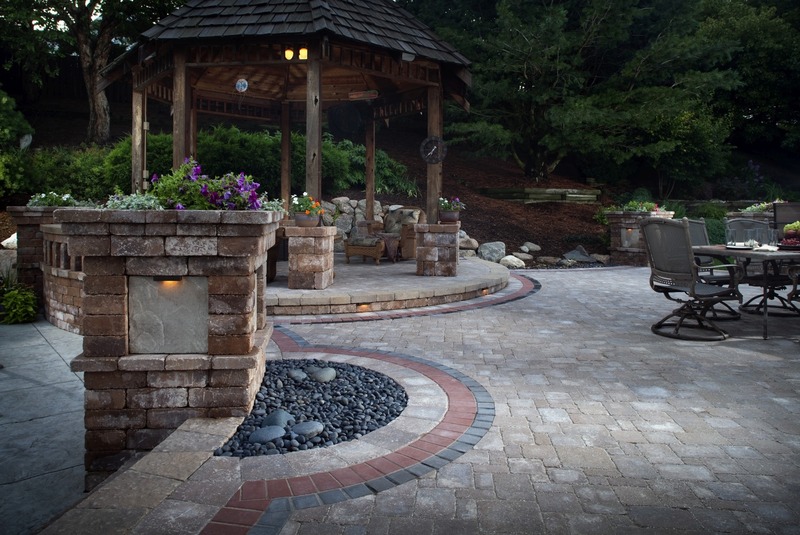 What would be your must-have feature if you were designing a park-like backyard?